The Austrian Arabian Horse Society awarded the 21 year old mare Estella with their WAHO Trophy for 2016. 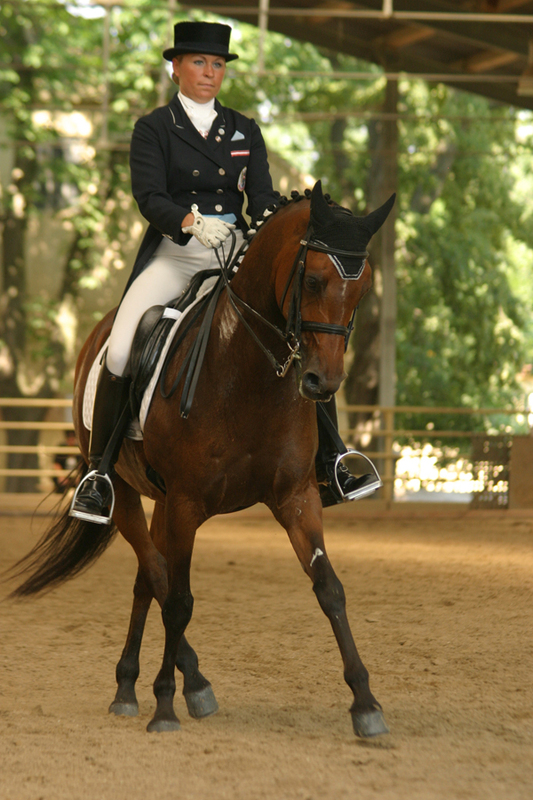 The very talented Estella, of pure Polish bloodlines, was the ECAHO European Gold Champion in dressage in 2007, as well as winning the title of Austrian Champion in dressage several times between 2008 and 2011. She competed against other breeds up to S level and was definitely one of the most outstanding dressage Arabians in Europe. She also proved to be an excellent broodmare. Unfortunately, Estella passed away shortly before the planned public ceremony to present her with her well-deserved WAHO Trophy. 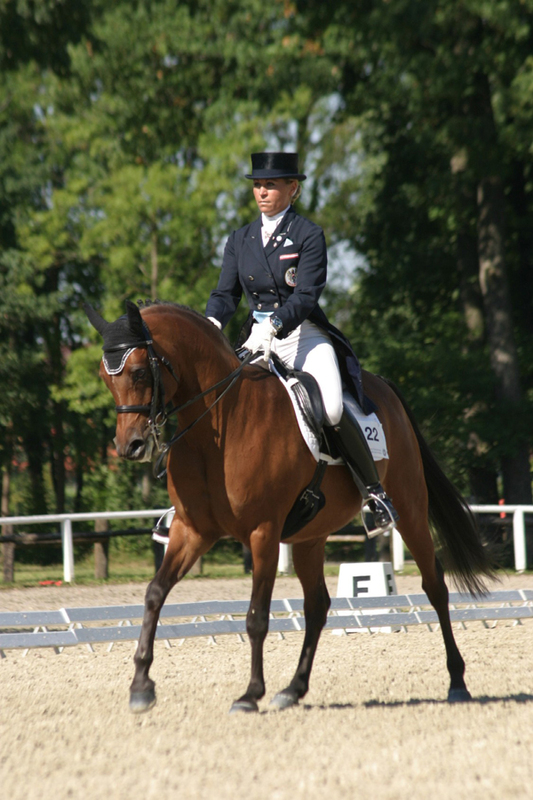 Austrian 2016 Trophy Winner Estella with rider Tina Tentschert on the way to win the Gold Medal at the European Championships 2007. Estella at the Austrian Championships where she won several titles. 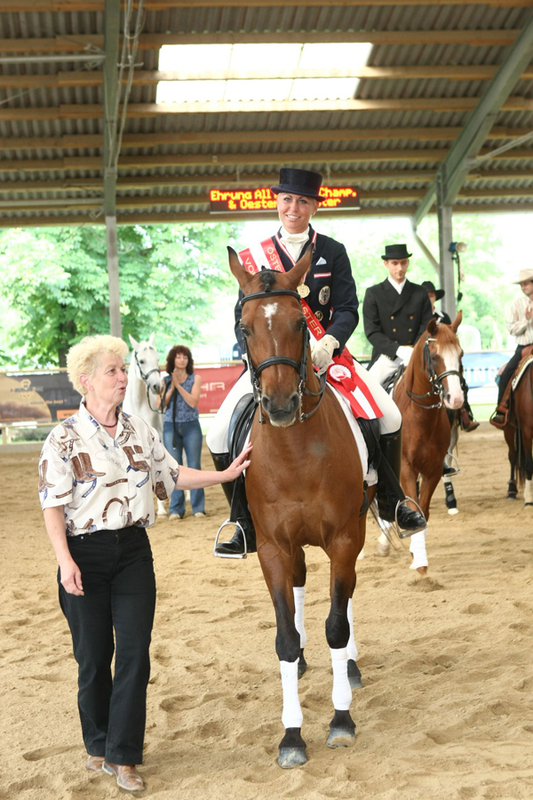 The Austrian 2016 WAHO Trophy was awarded to the outstanding dressage horse Estella with rider Tina Tentschert.